2Annes Lakeside RV Park is a privately owned park. The name represents the connection between Anne Nevin, owner, and her granddaughter, Anne. Take some time to relax at 2Annes Lakeside RV Park. 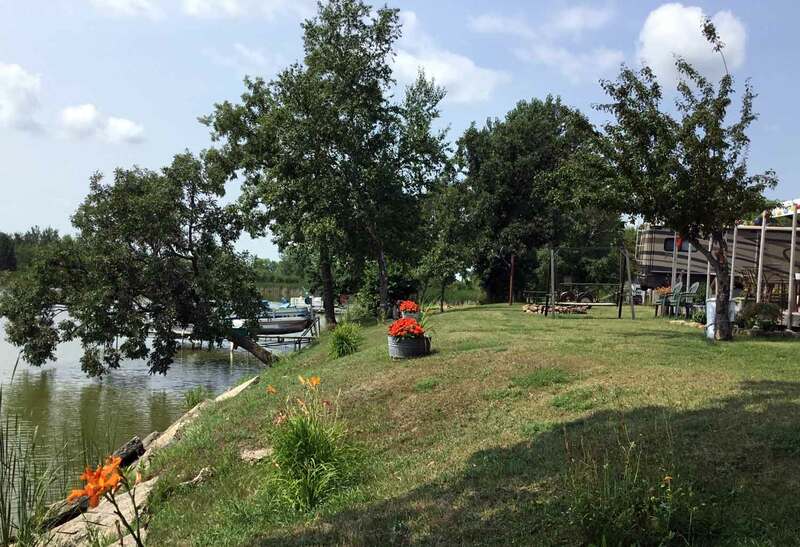 We are located on the tranquil north shores of Cameron Lake in Erskine, MN, with direct access from Highway 2. You will find a peaceful park with privacy for family fun. Create your family memories at 2Annes Lakeside RV Park. Our campground has full hookups, a bath house, and laundry facilities. We are a pet-friendly park as pets are welcome here too. Within the city of Erskine, there is a public swimming beach, playground equipment, as well as a boat launch. Within minutes of the campground there are recreational opportunities including Rydell National Wildlife Refuge and Oak Lake Golf Course. Area amenities also include a grocery store as well as numerous restaurants and bars. Overnight sites, with partial hookups, are available as well. Are you ready to reserve your stay with us? We’ll be happy to help. Check out availability for overnight sites online or give us a call at (218) 521-0688. Come stay on the lake. Click the button to the right and book now.